fostering brand reinforcement and strengthening the reputation of Russian companies. 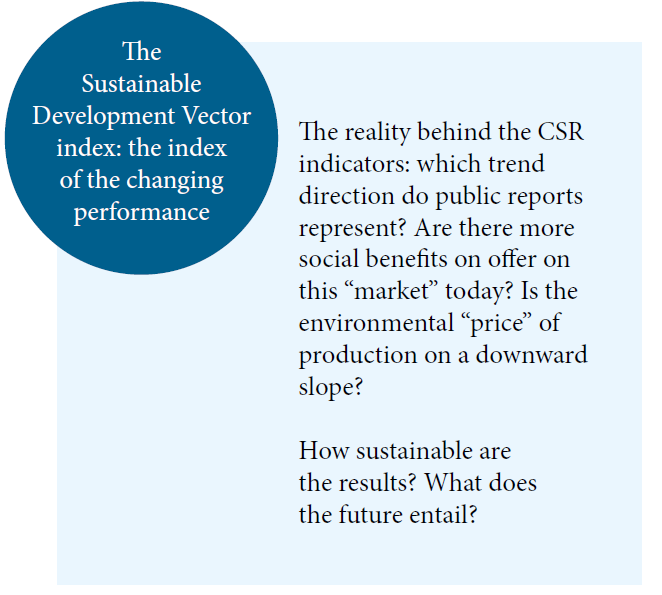 They serve as an extension of a line of tools for measuring and performing a self-assessment of a business’s performance in the area of corporate social responsibility, developed by RSPP and adopted by corporate practitioners. 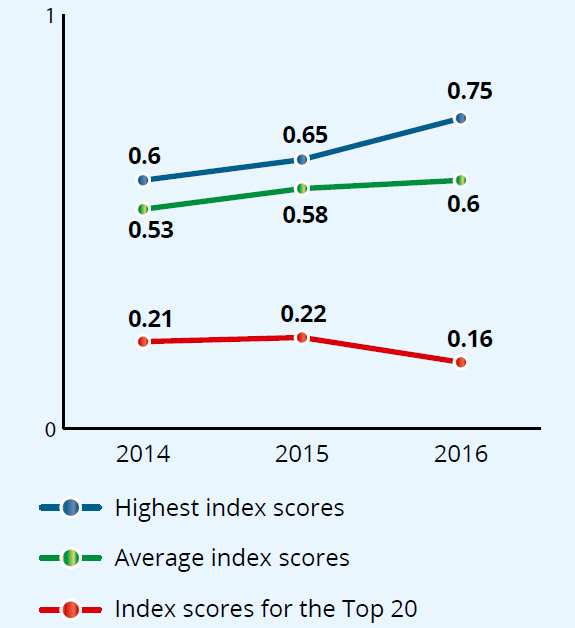 Observations conducted throughout 2014–2016 show that many companies have expanded the number of indicators disclosed in their publicly available reports. 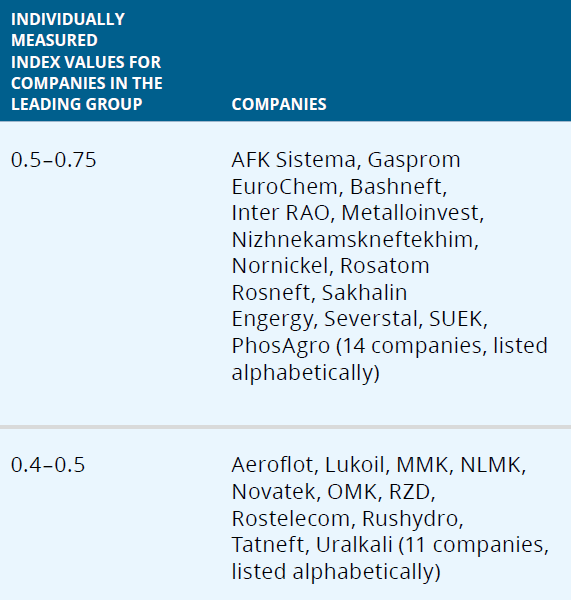 Gasprom, Eurochem, Inter RAO, Lukoil, Metalloinvest, MMK, Nizhnekamskneftekhim, NLMK, Nornickel, OMK, RZD, Rosatom, Rosneft, Rostelecom, Rushydro, Sakhalin Energy, Siberian Coal Energy Company (SUEK), AFK Sistema, Severstal, Tatneft, Uralkali, PhosAgro.